Kyushu Electric Power Co.’s recent acknowledgment that it had restricted third-party solar power supplies for two days underscores Japan’s need to boost its transmission capacity between regions. The restriction marked the first time a utility in the country had curbed use of renewable energy to avoid a sudden blackout. 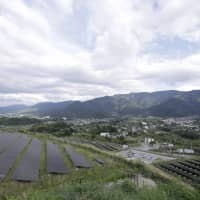 It also came just a week after excess renewable supplies were transferred between two of Japan’s electricity regions for the first time since a major shake-up of its power sector, according to the nation’s grid monitor. The transfer of excess solar power supplies from Kyushu to Honshu earlier this month had signaled increased flexibility in the country’s previously regionalized electricity grid as the market opens up to competition. At the start of October, Kyushu Electric Power Co. transferred up to 1.125 gigawatts to five utilities including Kansai Electric Power and Chubu Electric Power after approval from the grid monitor known as OCCTO, an OCCTO spokeswoman said. It was the first transfer since OCCTO was set up in 2015 to monitor the country’s electricity grid, after the government stripped big power utilities of their regional monopolies and opened the $70 billion retail power market to hundreds of new entrants. The reforms came in the aftermath of the 2011 Fukushima disaster, when an earthquake and tsunami led to nuclear meltdowns and widespread power outages. The disasters prompted a shift toward renewable energy, backed by mandatory preferential rates for solar, wind and other supplies. Solar power has grown particularly quickly on Kyushu, where Kyushu Electric operates, because of plentiful sunshine and available land. But old regional monopolies, which were left in control of the main transmission grids, have complained that renewables could lead to grid instability and have said interconnections between their networks may be unable to cope with large transfers. Kyushu Electric, Japan’s fifth-biggest utility by sales, said last month the recent restart of nuclear reactors could also lead to possible restrictions on the purchase of renewable energy this autumn. Improved transmission capacity would allow Japan to take full advantage of the growth it has seen in renewable energy since 2011. Kyushu’s transfer to Kansai and Chubu earlier this month had helped the utility avoid having to cut third-party supplies of solar energy, a company spokesman said. But as part of government reforms in 2015, the old utilities were allowed to restrict supplies of renewable energy from solar or wind farms if needed to maintain grid stability. Restrictions on the purchase of renewable energy can be made at short notice and without having to pay compensation, although the curtailment can only be made after first curbing hydro and fossil fuel power output or transferring excess supplies to other regions. Solar output during the day depends on weather patterns and can make it challenging for utilities to stabilize the grid. 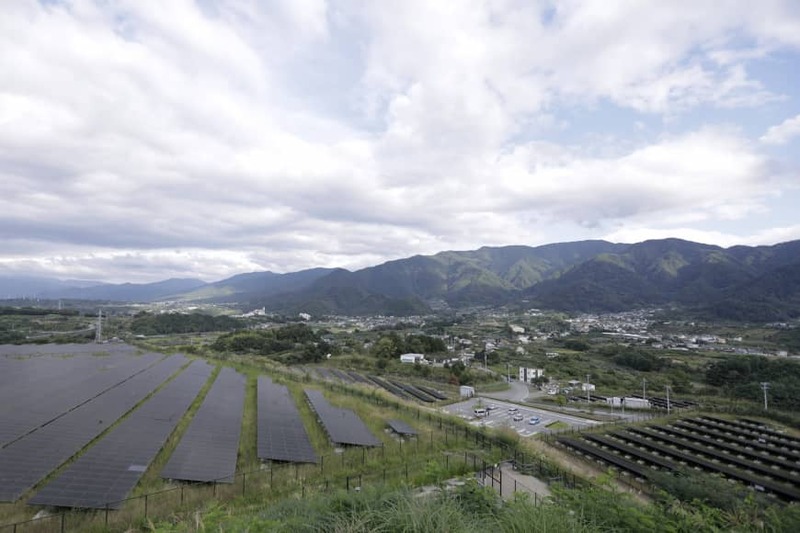 Kyushu had 8.07 gigawatts of solar capacity connected to the grid at the end of August, just shy of the 8.2 gigawatts that a government committee estimated in 2016 would be the maximum the utility could take without curtailment.